Krylov Methods for Large Eigenvalue problems and Model Reduction for Dynamical Systems. 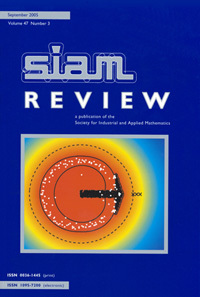 C. A. Beattie, M. Embree and D.C. Sorensen, Convergence of Polynomial Restart Krylov Methods for Eigenvalue Computation, SIAM Review, 47, (3) , pp. 492-515, (2005).